After a long day in the breakaway as the peloton cruised from Lodi to South Lake Tahoe, Cannondale Pro Cycling Team’s Toms Skujiņš (LAT) led a group of three out ahead of the leaders, up the mountains where elevations approached 8,600 feet at the apex, and over the finish line at Heavenly Mountain Resort. The speeds were high on the flattest part of today’s 131.7-mile course, the second longest of the 2016 Amgen Tour of California , as the peloton rolled out along Lodi’s vineyards and orchards, a reprieve before the rising altitudes approaching South Lake Tahoe, where crowds were 10 deep for long stretches. With less than four miles left to ride, the chase group remained about 50 seconds back from the race leaders, splintering with various attacks and counters to pull it back together. The three leaders held strong on the final uphill mile to Heavenly Mountain Resort, all vying for the stage win, with Skujiņš ultimately coming to the line the clear winner of the day ahead of De Vos and then Zandio. In addition to the stage win, Skujiņš came away from today’s stage with the Breakaway from Cancer® Most Courageous Rider Jersey. 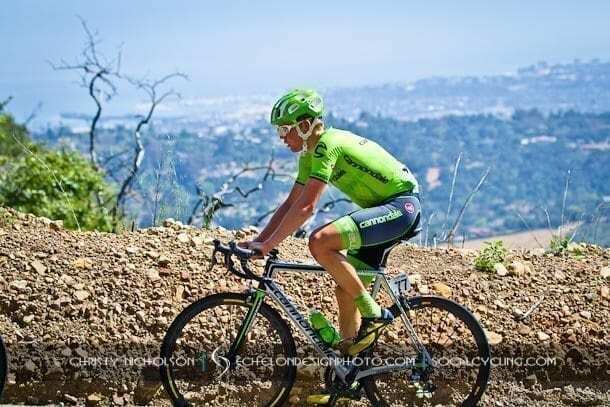 Riding in the main peloton today, Tinkoff’s Peter Sagan (SVK) retains the Visit California Sprint Jersey. The SRAM Best Young Rider Jersey stays with Roseville, Calif. native, Neilson Powless (USA) of the Axeon Hagens Berman Cycling Team for the third consecutive day, and Rally Cycling’s Evan Huffman (USA) retains the Lexus King of the Mountain (KOM) Jersey, which he’s worn since Stage 3. The peloton of 106 was still together heading into the Emerald Bay QOM climb but the climb split the peloton into three groups. Riding for Podium Ambition Pro Cycling p/b Club La Santa, Sarah Storey, Great Britain’s most decorated female Paralympian in history including six gold medals in cycling to her credit, took the opportunity to attack at the descent, creating a gap as she rocketed down the mountain at over 40 mph that increased to more than five minutes over the peloton after two hours of racing.